Is there anything better than soft, chewy chocolate brownies? Answer- YES! 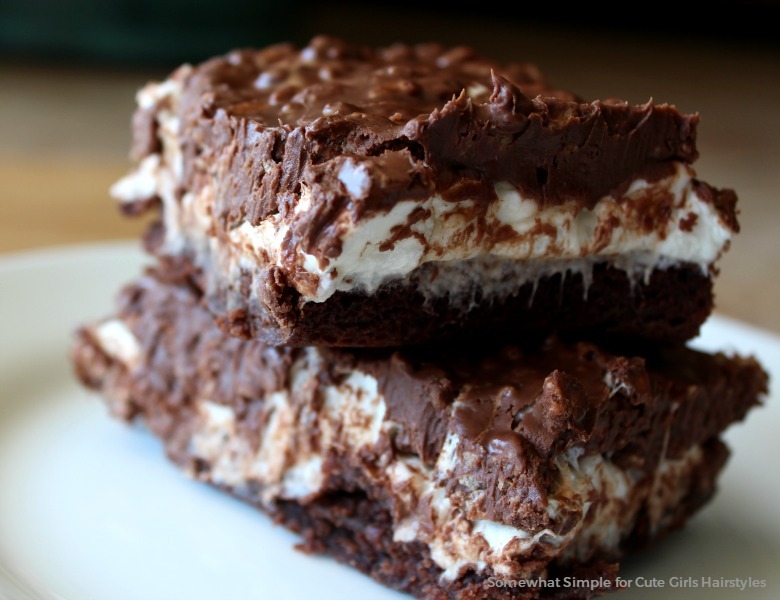 These Marshmallow Krispy Brownies are a delicious twist on one of my favorite baked goodies. My sister in law brought these brownies to a family party and I couldn’t keep my hands off of them! I don’t think I was the only one who asked for the recipe that day, and can you blame me? 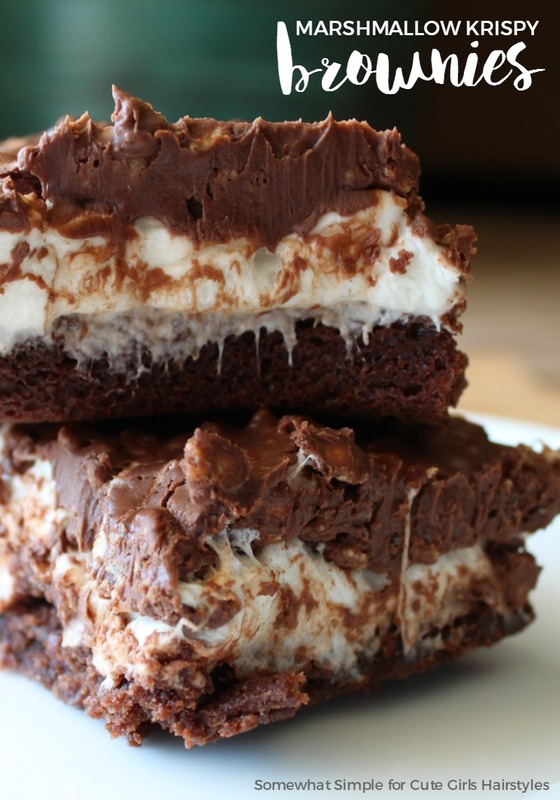 Fudgy chocolate brownies covered in creamy marshmallows topped with chocolate crispy goodness – what is not to love??? An even bigger bonus is the fact that they are also super simple to make. Easy, delicious brownies? Yes please!!! Bake your brownies according to the package or recipe directions and let them cool for just a few minutes. Spread the marshmallow creme over the warm brownies. Meanwhile, in a large saucepan over low heat, mix the chocolate chips and peanut butter. Stir frequently until the chocolate chips are completely melted and the mixture is warm and smooth. Add the crispy rice cereal to the chocolate and peanut butter mixture and stir until the cereal is coated. Immediately spread the cereal/peanut butter/chocolate mixture over the marshmallow creme. Refrigerate for 20 or 30 minutes or until set. Cut into bars to serve. Warning: You will not be able to eat just one! I am not responsible for any weight that is gained after consumption of these marshmallow krispy brownies – don’t say I didn’t warn you!